My full time job (besides blogging) has me on the road quite a bit these days, regularly buzzing around eight different counties here in Arkansas. I am so very blessed to live in a beautiful area. When something catches my eye, I snap a picture or two with my phone. 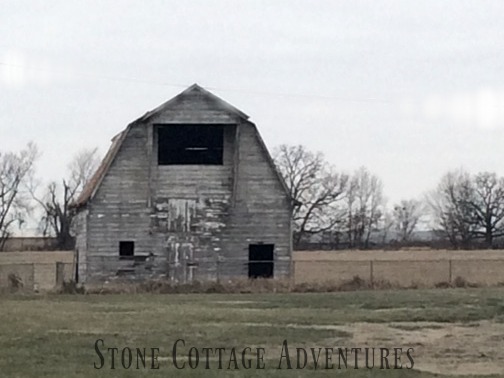 This lovely old barn is just west of Bentonville. Beautiful photo. That's a nice old barn.